This winter, Frontera Grill, Topolobampo, Xoco River North and Xoco Wicker Park will celebrate the holidays with special hours and two fabulous New Year’s Eve celebrations, complete with “Best of 2015” menus, champagne toasts and live mariachi music. We will also close our restaurants for some holidays. Scroll down for complete details. 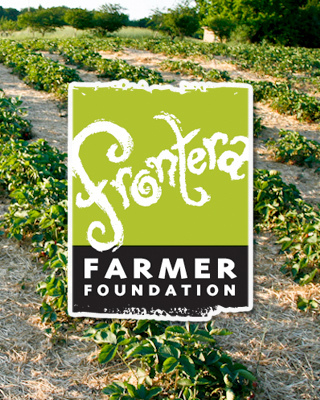 Frontera Grill and Topolobampo will open for rare Sunday and Monday night dinner service on December 27th and 28th. At Frontera Grill, each table will receive a parade of 4 appetizers, choice of an entree and choice of dessert. $85/person, not including beverages, tax and gratuity. To make a reservation for New Year’s Eve, call Irene at 312-661-1434. All of our restaurants will be closed on Thanksgiving Day (Thursday, November 26). Xoco Wicker Park will close at 2 p.m so that they may participate in our annual staff holiday party. All of our restaurants will be closed on December 24th and 25th in honor of the holiday. Frontera Grill, Topolobampo and Xoco River North will be closed from January 1st–7th for our annual winter break and will reopen January 8th. On those days, please visit us at Xoco Wicker Park!